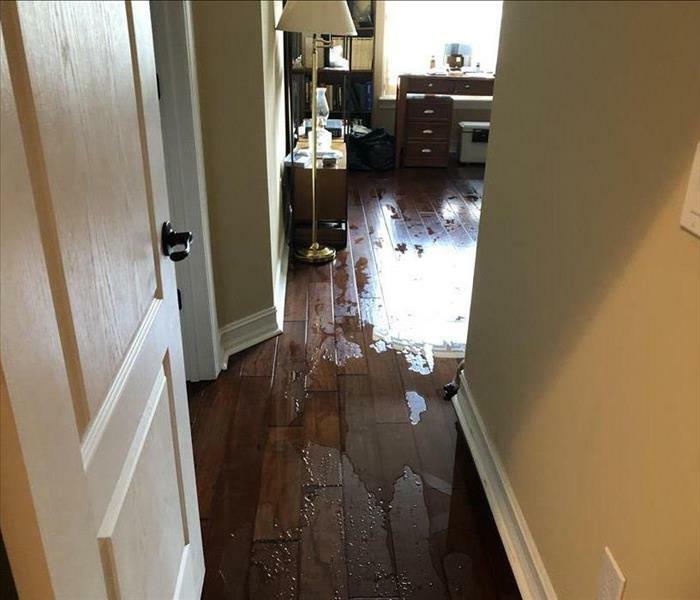 Storm induced broken pipe led to standing water on this engineered flooring in a Conway home office. 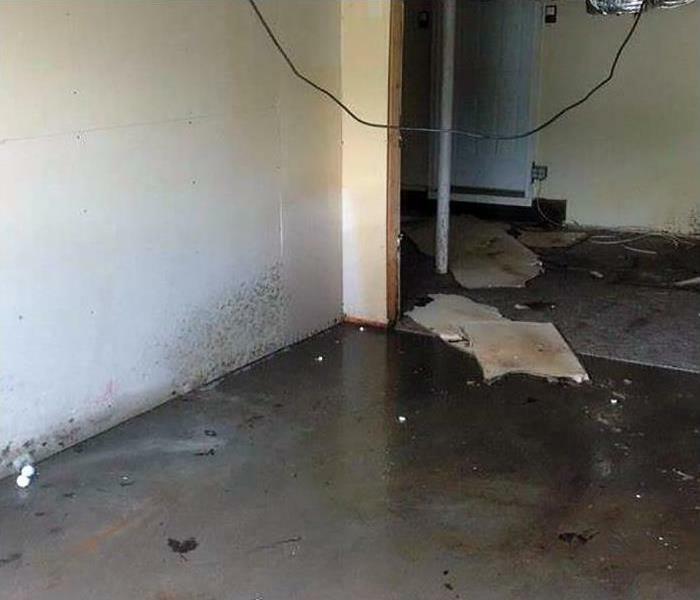 Because SERVPRO received the emergency immediately from the homeowner and we arrived soon after, we can salvage this floor material with a fast water removal. The homeowner gets credit for not delaying in calling us for help. 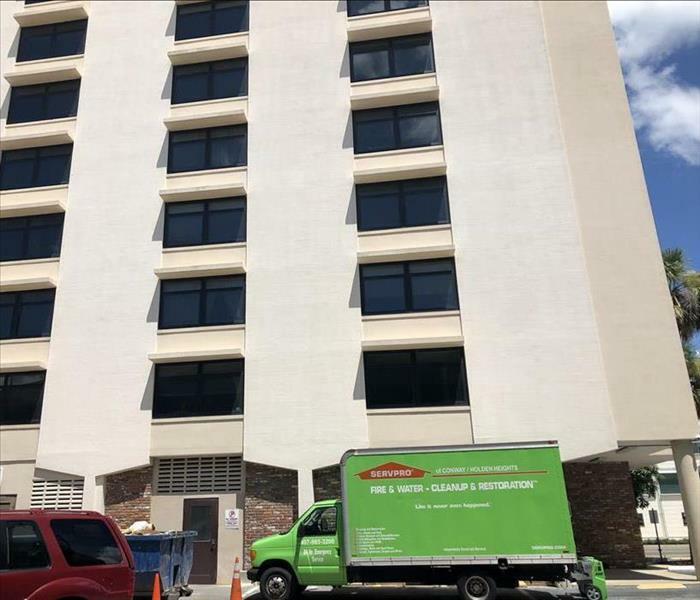 When high-rise commercial buildings in Downtown Orlando suffer a water loss and need fast service, backed up by skilled technicians and advanced equipment, they know who to call! They call SERVPRO; our green box truck can arrive swiftly to begin the water damage mitigation and keep this business in business. 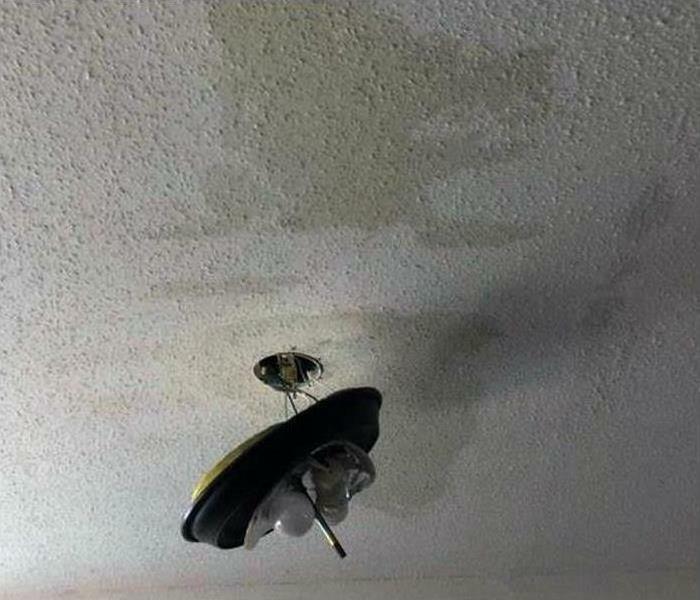 Call us after your Belle Isle home suffers water damage. SERVPRO of Conway / Holden Heights is Faster to Any Size Disaster, locally owned and operated, and ready 24/7. We have the training, water damage experience, and state-of-the-art equipment to restore your home in Belle Isle to pre-damage condition. 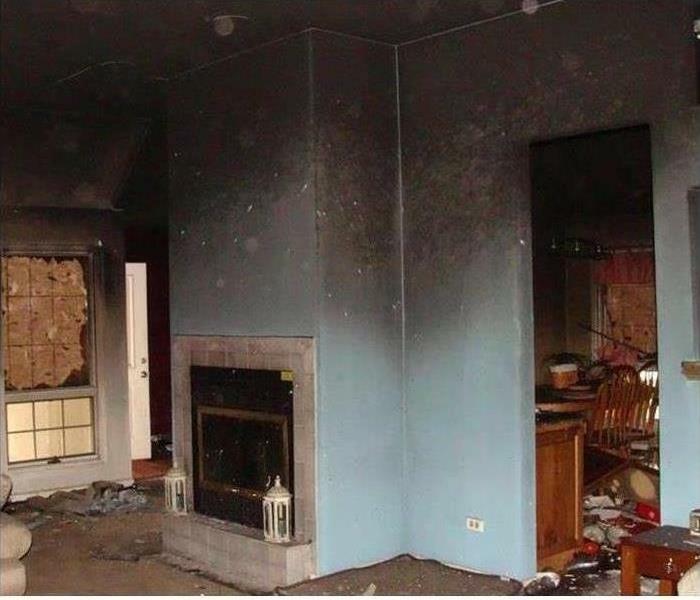 SERVPRO suggests to Conway homeowners to maintain their homes' chimneys and fireplaces to prevent fire damage as shown in this Photo. Our team can remove the damaged materials, wipe down the walls and eliminate the odors. Just give us a call. This was a commercial water loss job we worked on. 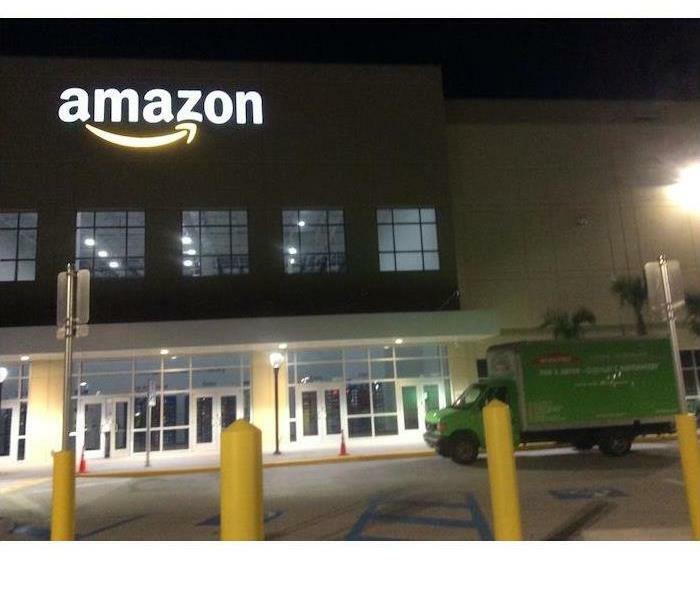 Our crews arrived at the 55,000 square foot multiple level warehouse at 4pm with 4 trucks and stayed until 5 AM. We are ready 24/7 to help with your restoration needs. 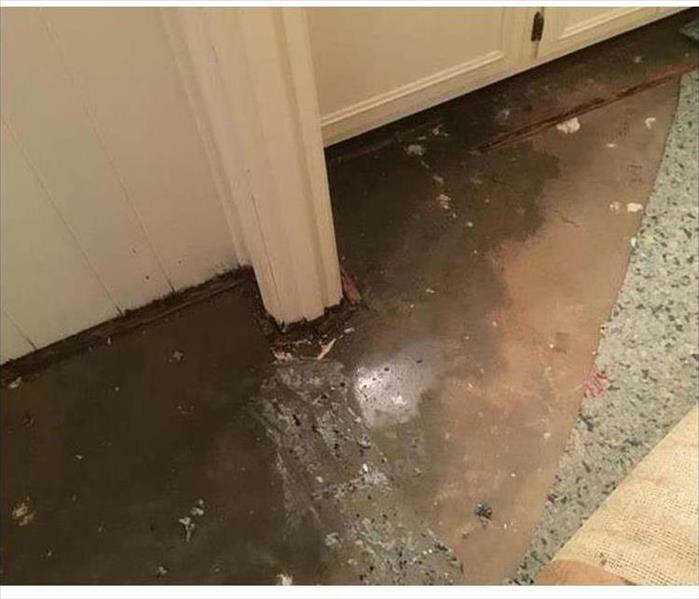 SERVPRO answered the call from this homeowner when unexpected water invaded their home. After assessing the situation, we removed the water and dried the structure. After everything was thoroughly dry, we applied an antimicrobial to inhibit mold. 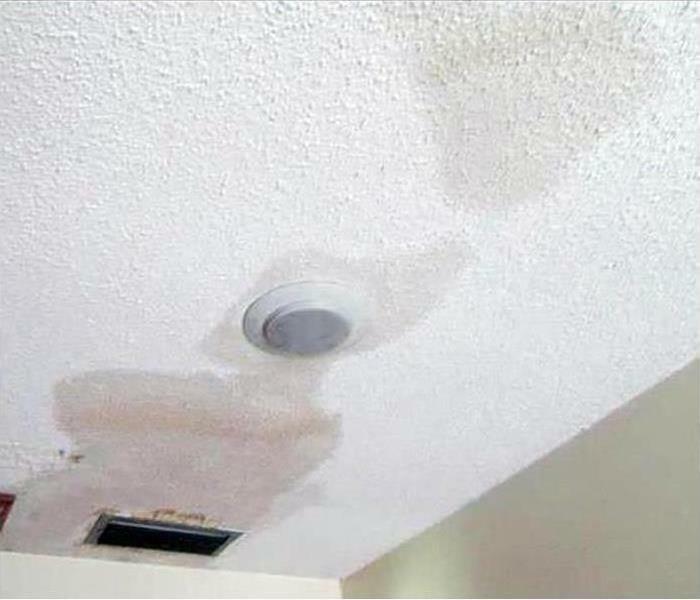 Call SERVPRO with all of your water damage restoration needs. 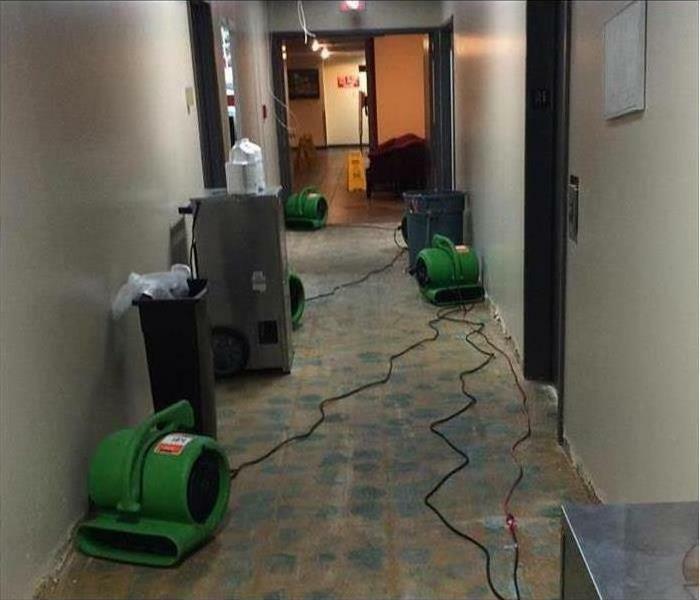 When water damage occurs on a commercial property, team SERVPRO is there to dry and remediate the affected area. Our IICRC certified technicians make it "Like it never even happened." 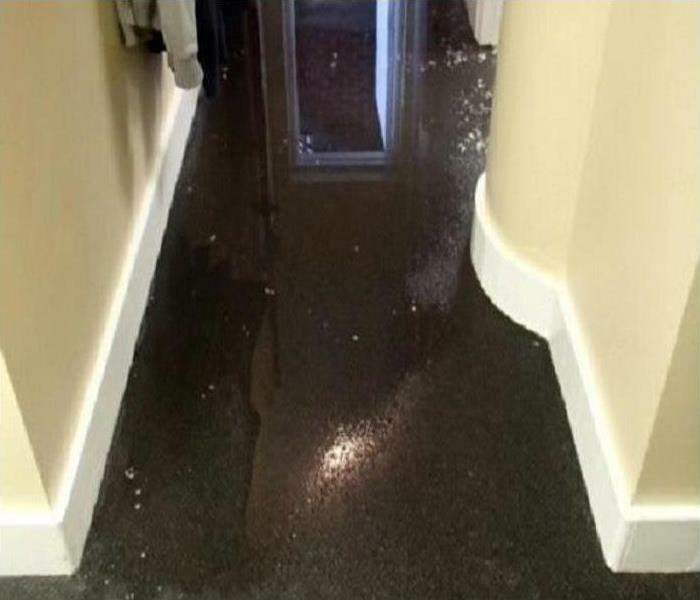 Should your business suffer a water damage event, contact us at (407) 985-3200. 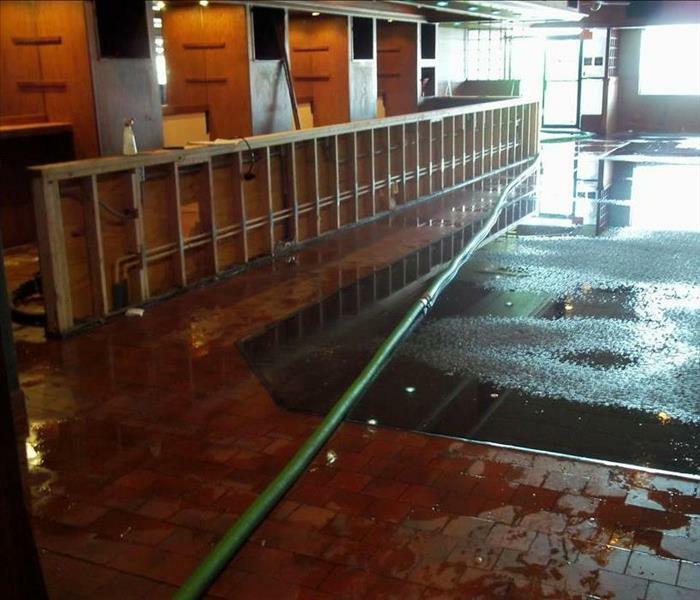 When a water damage disaster occurs on your commercial property, you need the crew at SERVPRO. Our highly skilled experts are ready 24/7 to respond to your call. SERVPRO of Conway / Holden Heights has the experience and equipment to restore your property to pre-damage condition. 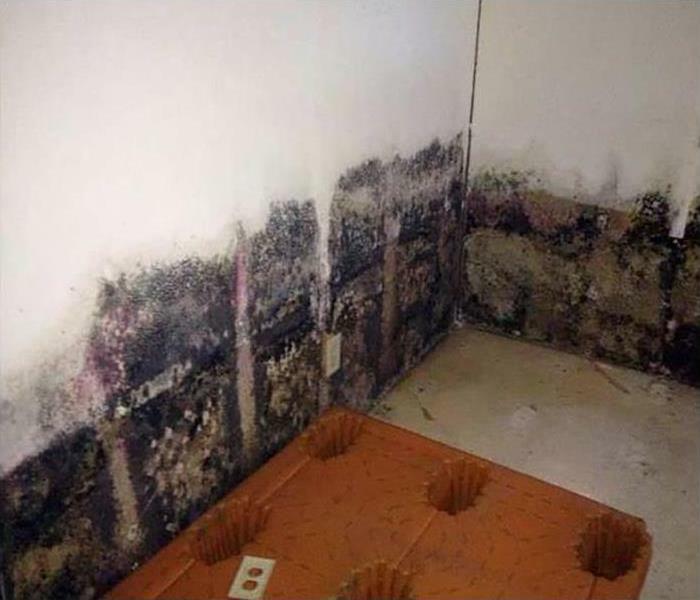 SERVPRO AMRT specialists are extremely skilled at mold remediation. 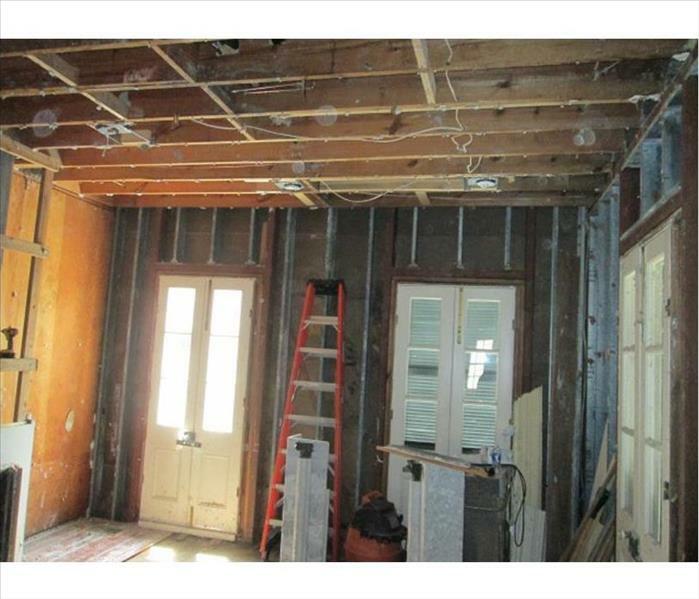 We carefully remove the contaminated drywall and prevent the mold particles and spores from spreading and exacerbating the infestation. The air scrubber captures circulating debris, and the poly sheets isolate the work area; Edgewood customers know they get top-notch results from us. Fire damage at this Conway house was limited to the kitchen area, but the soot and smoke damage affected all the rooms of the house. The photo shows a bedroom the required carpet cleaning along with drywall sponge cleaning of the walls and ceiling. 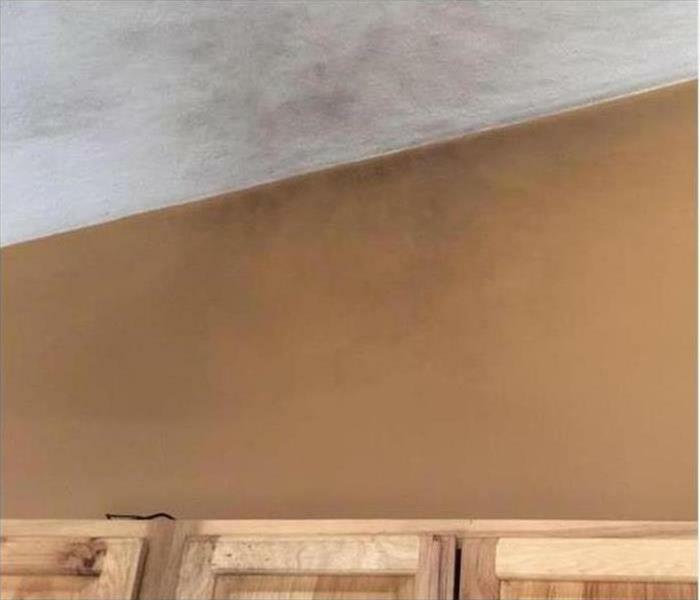 Often the main damaging result from a house fire is the smoke staining and odors left after the flames are extinguished. 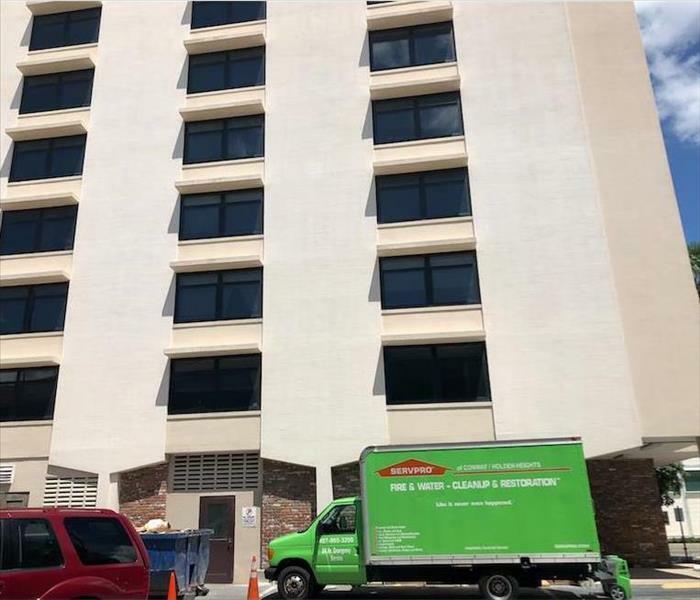 Pine Castle condo dwellers know to call SERVPRO to wipe down the smoke residue and use mechanical and specially formulated products to eliminate the foul odors. We are always ready to help. Finding pooling water in your commercial Edgewood building on a Monday morning means an immediate call to SERVPRO is needed. 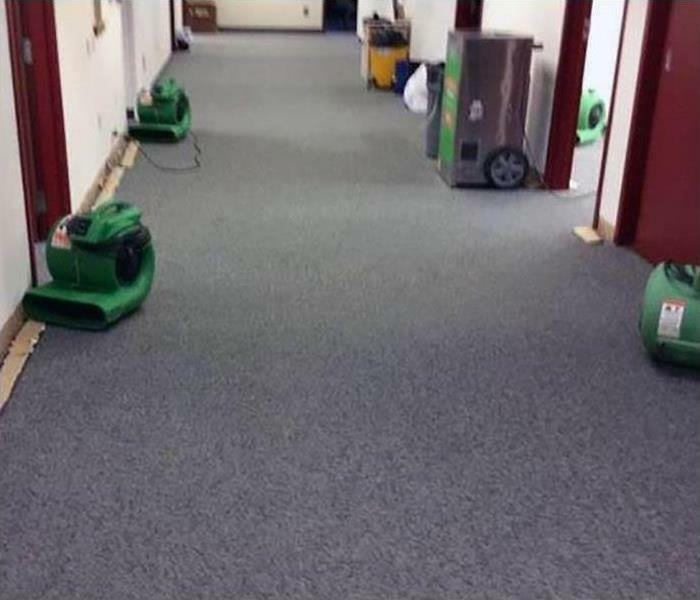 We're Faster To Any Size Disaster, can arrive with a crew within minutes or hours to extract the water and dry out the hallway. 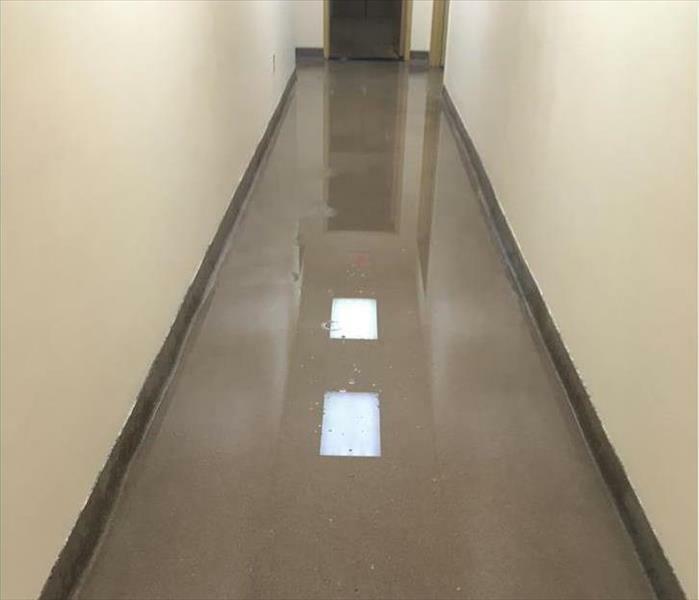 During remodeling of a commercial building in Edgewood, a tropical storm flooded the interior causing damage and the need for swift water removal. SERVPRO crews can respond within hours to start the extraction and mitigate the storm damage to this enterprise. 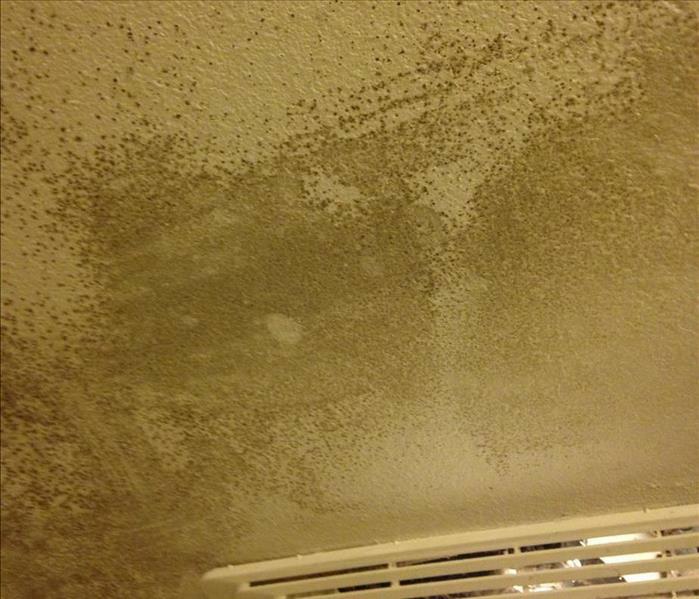 The visible mold damage on this ceiling in a Conway bathroom indicates both a moisture problem and the need for partial demolition of the damaged drywall material. Poor ventilation in this bathroom from a non-functioning exhaust fan encouraged dormant mold spores to grow with the excess moisture. SERVPRO of Conway / Holden Heights is ready for any water damage emergency. Our team is available 24/7 and is Faster to Any Size Disaster! Our crew at SERVPRO has the equipment, training, and experience to restore your property to pre-damage condition. 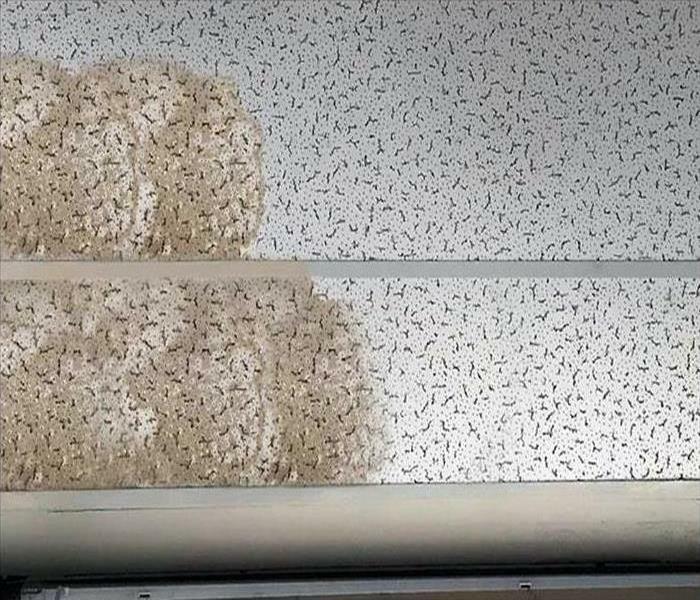 Commercial water damage struck this Edgewood office building when the sprinkler system on one of the floors malfunctioned. 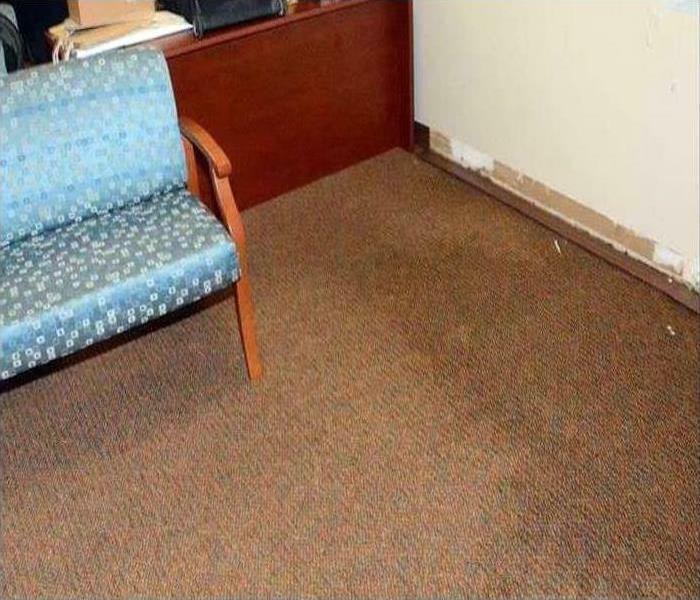 When water damage occurs, it is important to respond quickly as the more time the water is left on commercial surfaces such as the carpeting and office equipment he more damage is done. 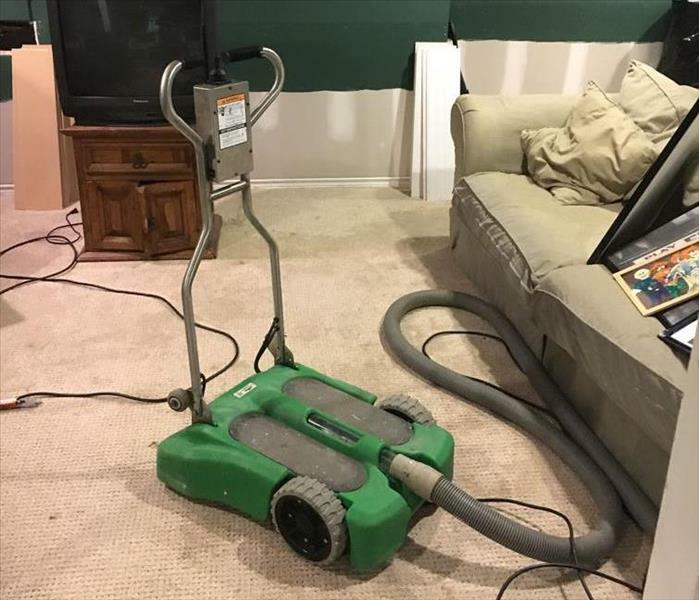 SERVPRO of Conway / Holden Heights has the quantity of up to date equipment and the quality of industry certified technicians to efficiently get your property back to pre-damage conditions. The stormwater carried along mud and debris through the garage to the kitchen entrance in this Conway house. 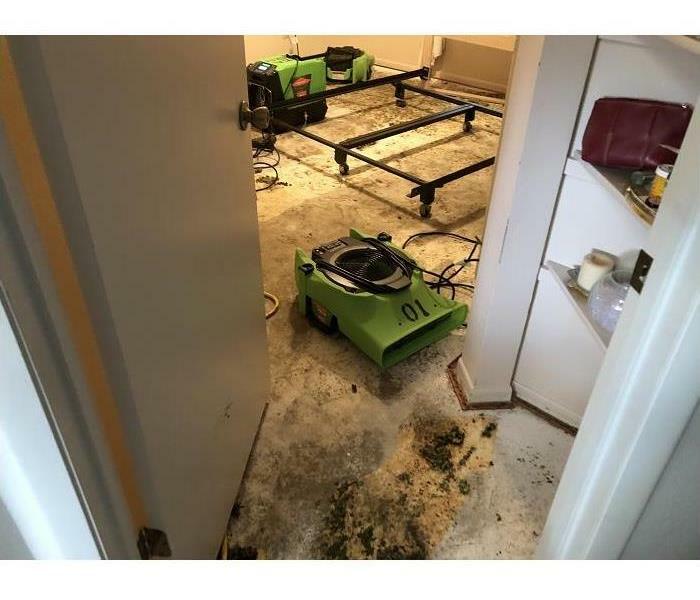 To mitigate damages, SERVPRO crew members can move flooring and furnishings out of harm's way and then begin the water extraction. The less damage, the less restoration and disinfecting to do. Mold damage developed at this vacant Edgewood house because the relative humidity was constantly high because the air conditioning unit was turned off. 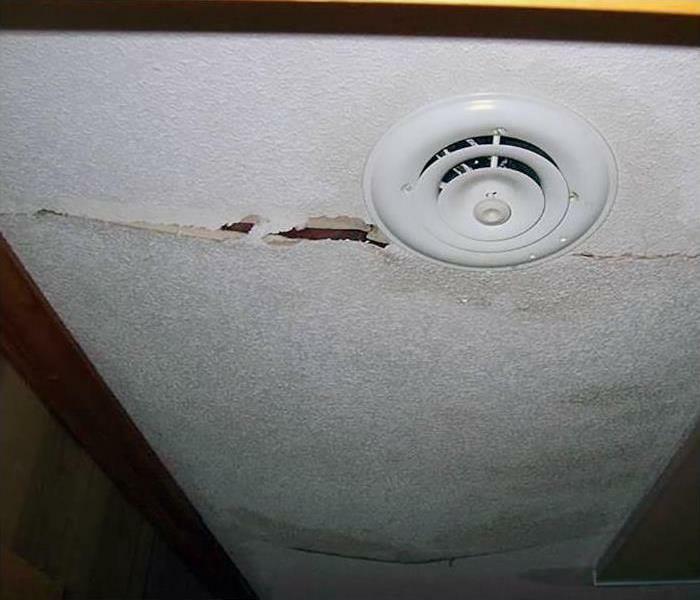 Relative humidity readings which are greater than 45 percent increase the likelihood of mold damage developing. Our team at SERVPRO is ready to respond to your fire damage emergency. Our crew is ready 24/7 and Faster to Any Size Disaster. SERVPRO of Conway / Holden Heights has the training, experience, and equipment to restore your home to pre-damage condition. 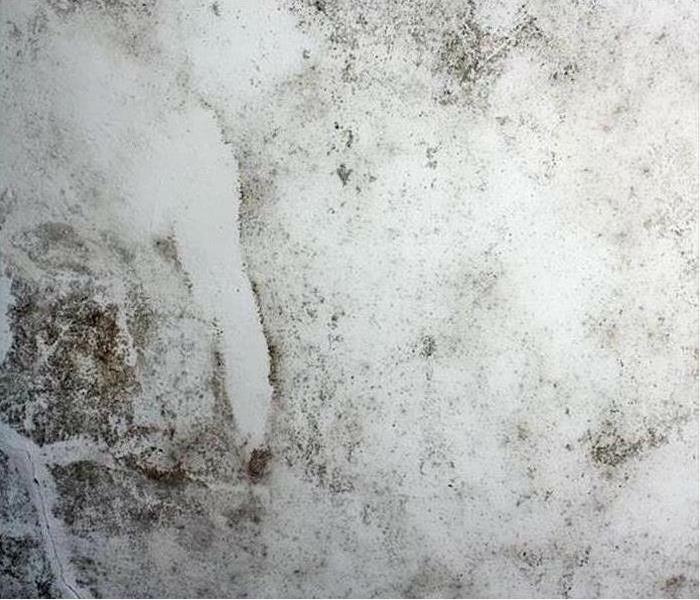 Seepage from a pipe can cause water to accumulate within a wall cavity leading to non-salvageable damage. Pine Castle homeowners can rely on SERVPRO to assess the source and the extent of the damage. We do not guess but use moisture sensors and infrared imaging to discover and dry all affected areas. When your property suffers a storm damage emergency, there is only one team to trust, and that is the team at SERVPRO. Our experts know that a storm can strike at any time and we are ready 24/7. SERVPRO of Conway / Holden Heights has the training, equipment, and experience to restore your property to pre-damage condition. We’re Faster to Any Size Disaster! 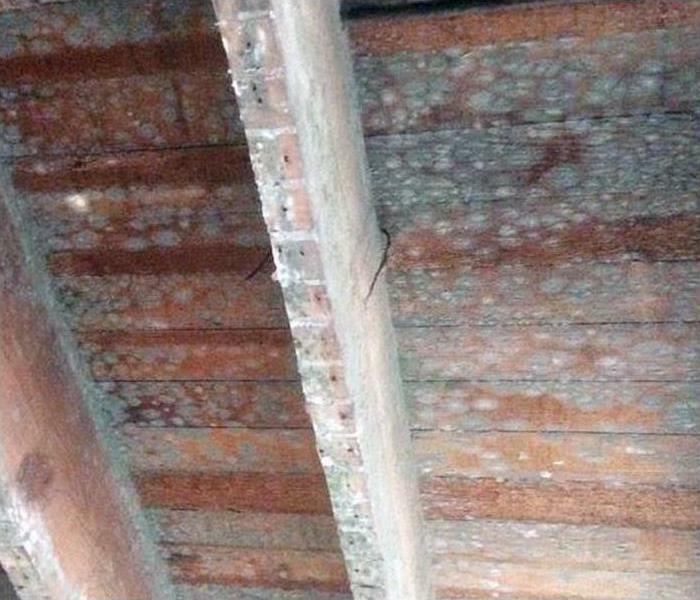 When a structure in the Conway area is neglected and vacant, in the humid Florida climate, a mold infestation is often the result. SERVPRO has skilled team members, but often a demolition is needed to remediate the mold contamination. This stripped down room has been sprayed with an antifungal agent and is now ready for a rebuild. 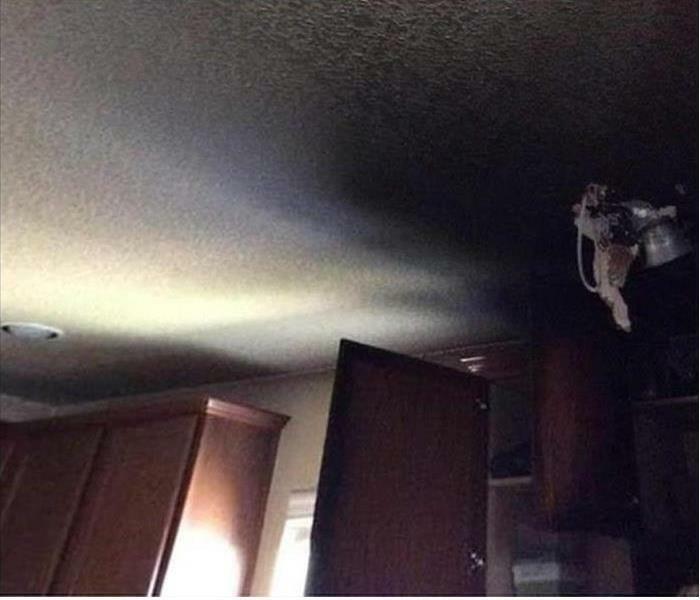 Fire damage at this Conway home started as a grease fire on the stove top. 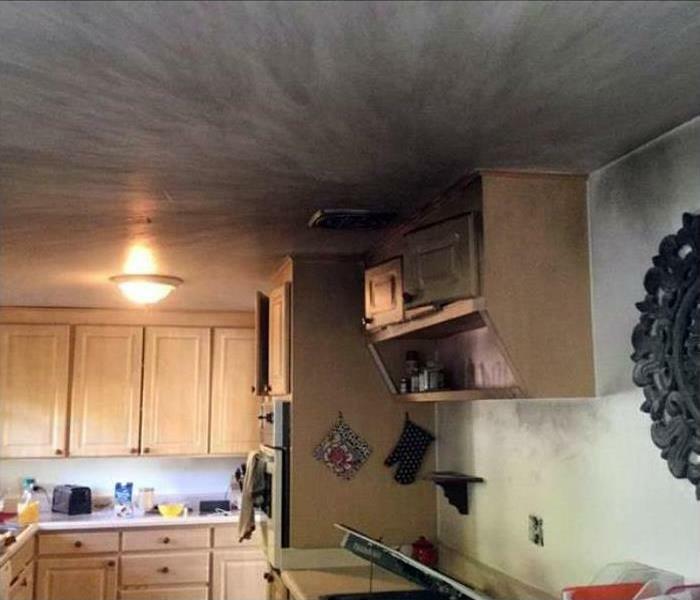 Fortunately, the homeowner had a fire extinguisher in the kitchen and quickly extinguished the blaze preventing severe damage to the structure. 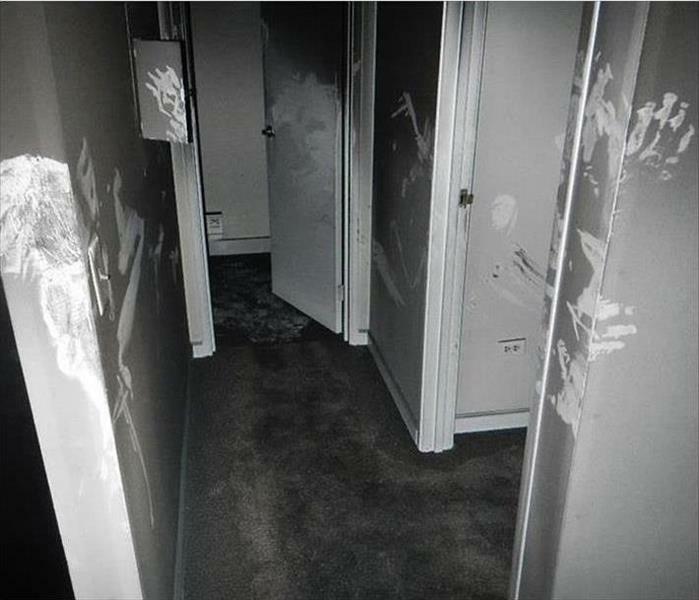 However, there was a lot of soot and smoke damage along with the messy residue from the fire extinguisher to be cleaned up. SERVPRO of Conway / Holden Heights can clean up the extinguisher residue and wipe down the soot and smoke on the walls and ceiling. We would also attend to the air quality by using a hydroxyl generator. 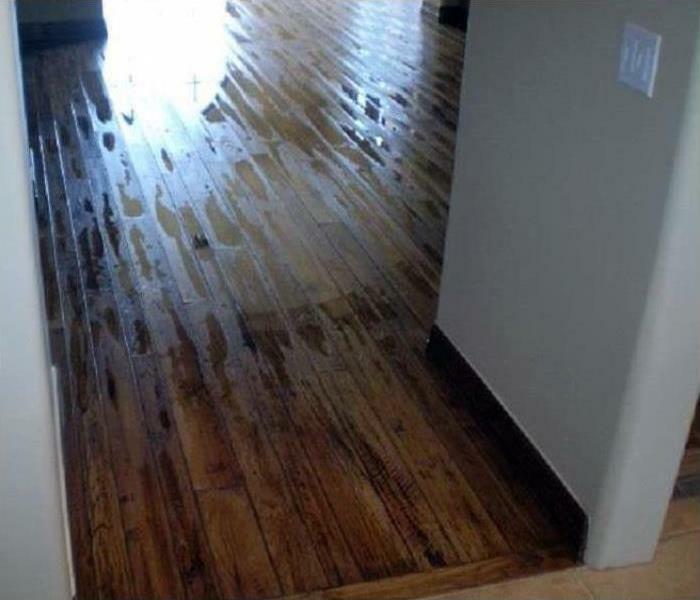 This rec room in an Edgewood home was a get-away for the teens in the house until one forgot to turn off the water in the sink. Pictured is a Rover, a riding water extractor that SERVPRO techs can stand on adding weight to enhance the suction power of the device. 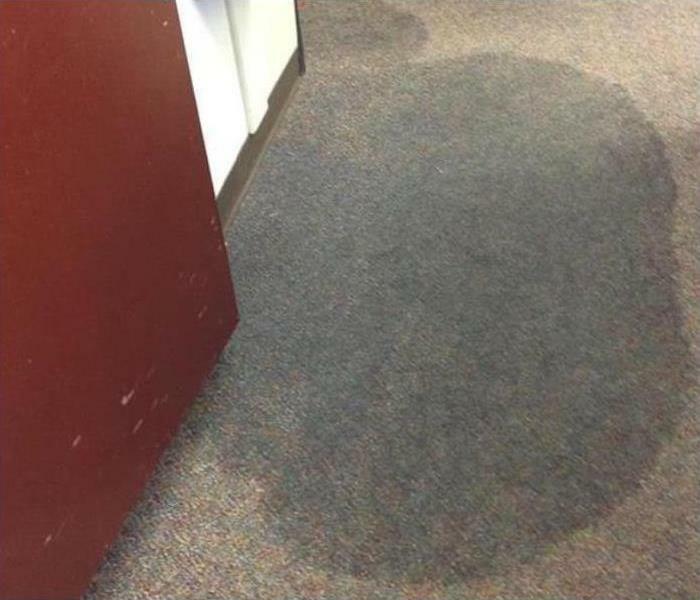 Faster water removal equals less chance of permanent damage to the carpeting. 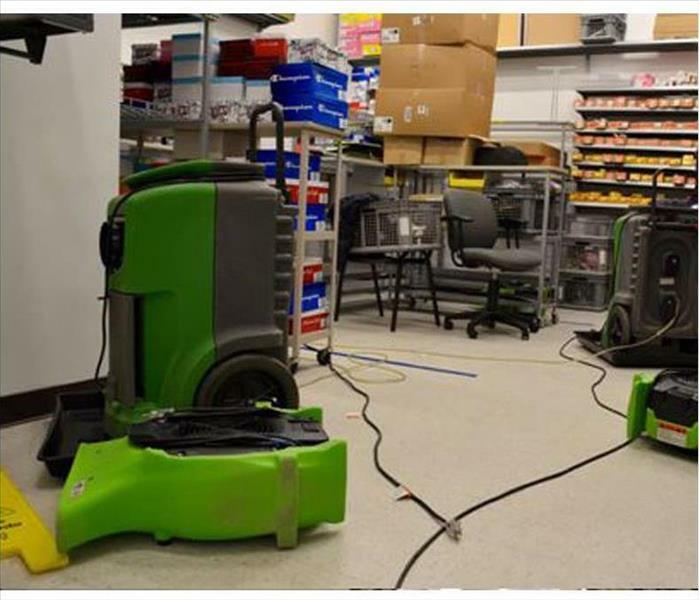 SERVPRO can mitigate water damage to inventories in retail properties when called quickly. Saving money and downtown for Edgewood area businesses is the aim our company. With high-grade drying equipment, we can get things dried out swiftly, "Like it never even happened." Storm damage in Edgewood might become what is termed a large loss event. That is one requiring a lot of storm damage restoration equipment and sufficient amount of technicians to handle the project. 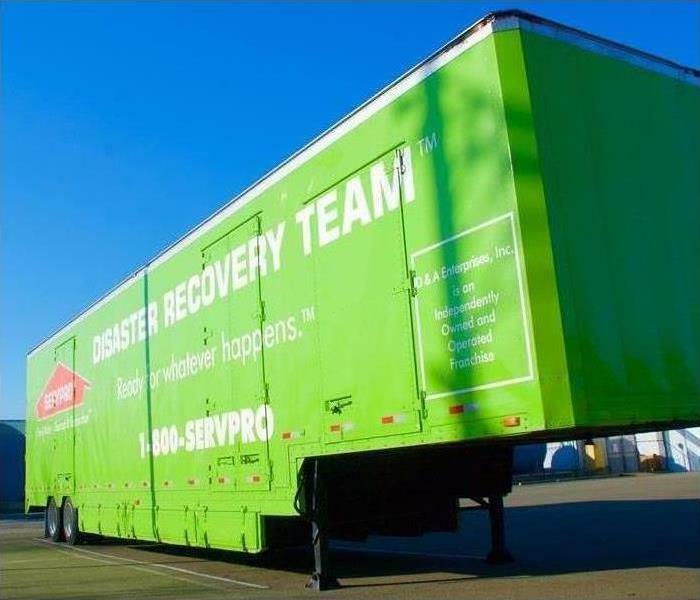 SERVPRO has large tractor-trailers stocked with the equipment needed to remediate a large loss storm damage event. These trucks are ready to be dispatched on a moment’s notice. A minor mold infestation can turn into a major issue if left not treated. We have the knowledge and hands-on experience to eradicate any size mold infestation. 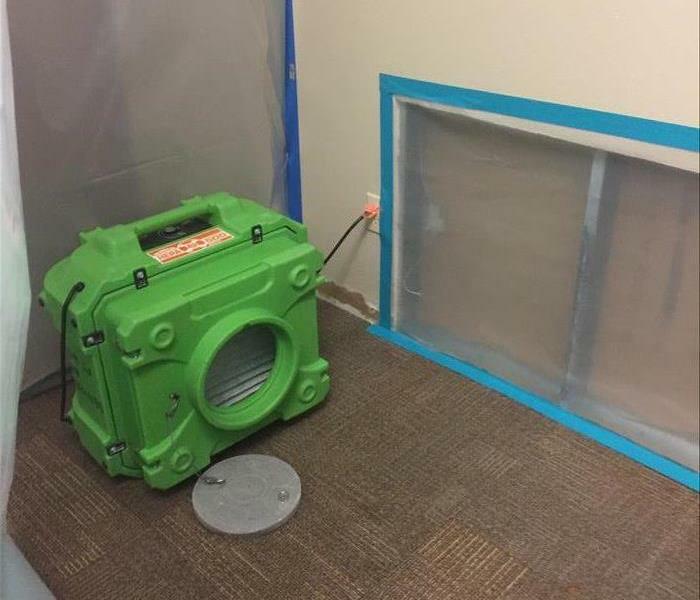 Our state-of-the-art mold remediation equipment will help us restore your property to pre-damage condition. SERVPRO of Conway / Holden Heights is Faster to Any Size Disaster! 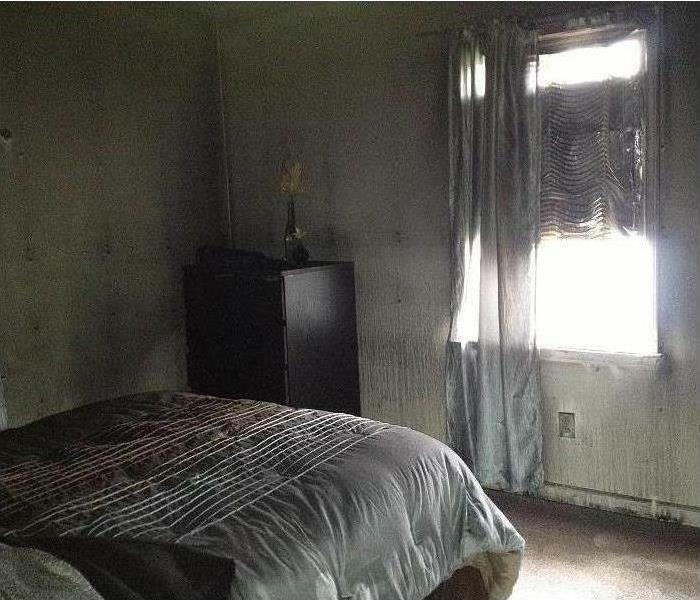 The sooty grease fire from the kitchen reached all rooms, hallways, and nooks and crannies of this home in Conway. SERVPRO techs have the chemical sponges and detergents to wipe away most of the residues without smearing. Homeowners appreciate a repainting rather than replacing the porous surfaces. Call us to make your life easier. 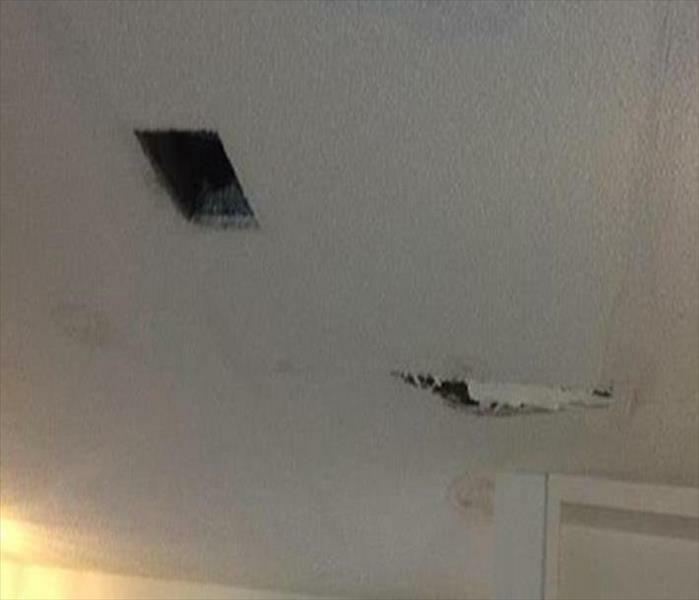 Water damage at this Edgewood house was the result of a water line leaking above the pictured ceiling. The water damage was surrounding an electrical fixture making it more worrisome. The homeowners wasted no time finding professional help. Storm damage to this Edgewood home was the result of high winds associated with a strong band of thunderstorms. The gusty winds damaged a portion of the roof of the house making way for rainwater to enter the attic and eventually soak some insulation and the pictured ceiling. 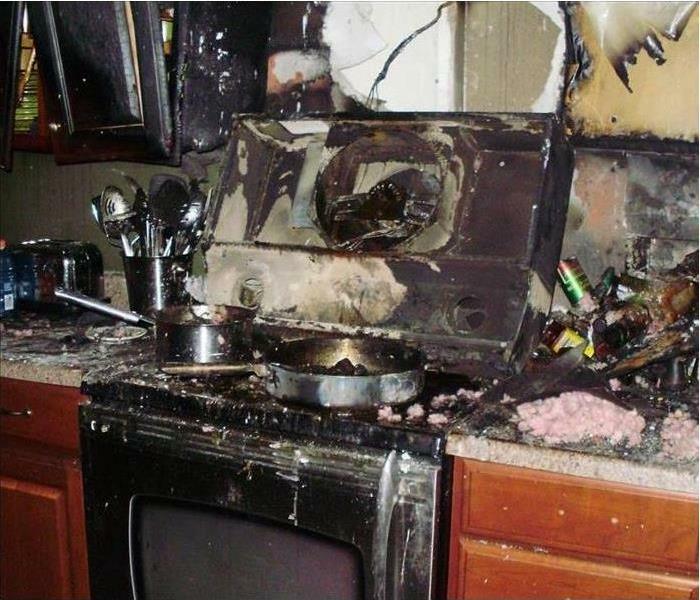 Stovetop grease fires can result in significant damage to homes in Edgewood. SERVPRO recommends that you have an ABC type fire extinguisher under your sink to put out these fires. In this case, give us a call for cleanup and restoration. Overhead supply lines often leak and damage ceilings as seen in this photo. By calling SERVPRO, you can be assured that your Pine Castle home can be restored to its preloss condition "Like it never even happened."